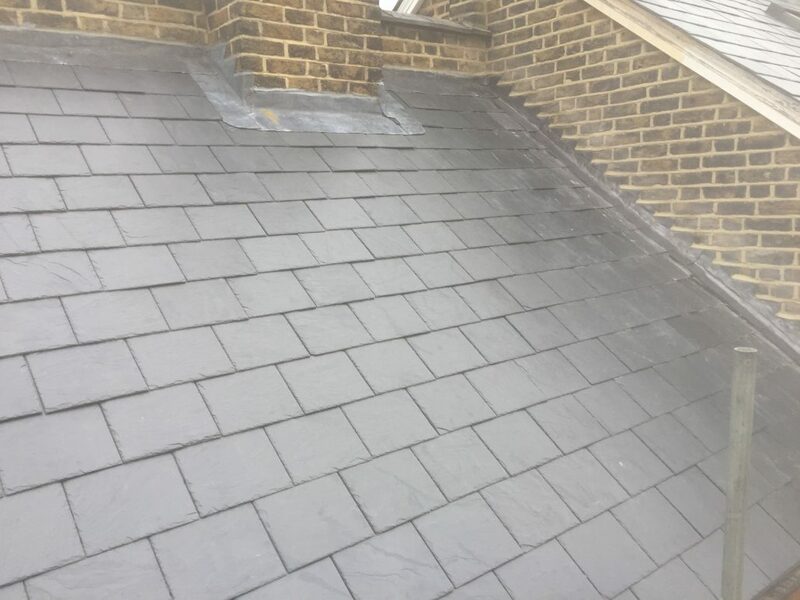 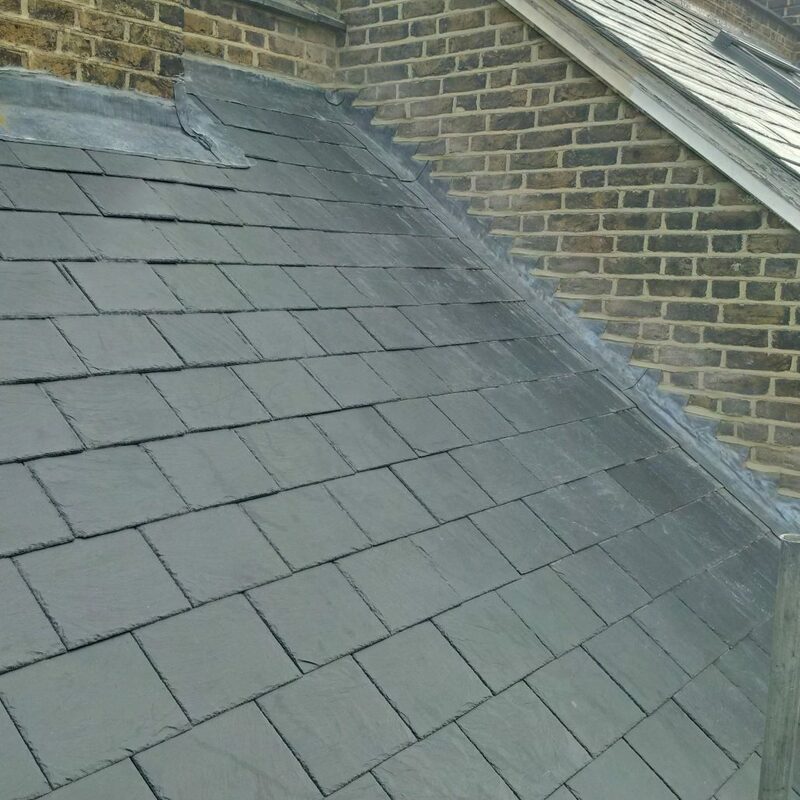 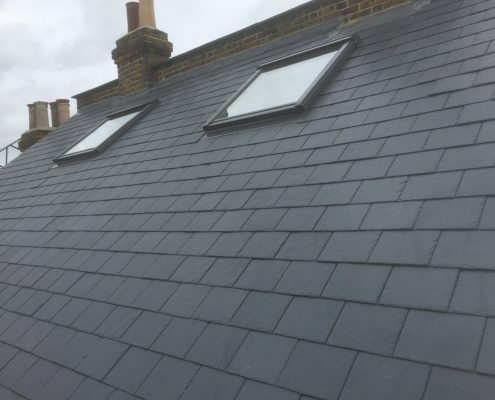 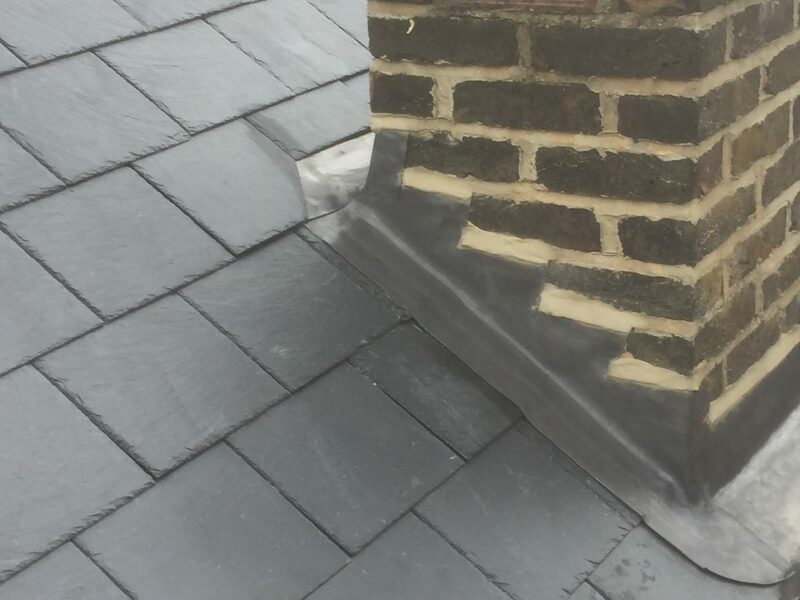 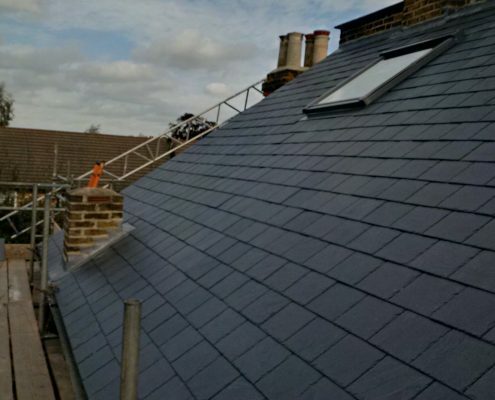 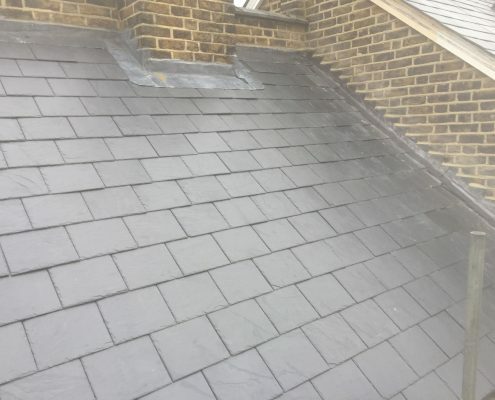 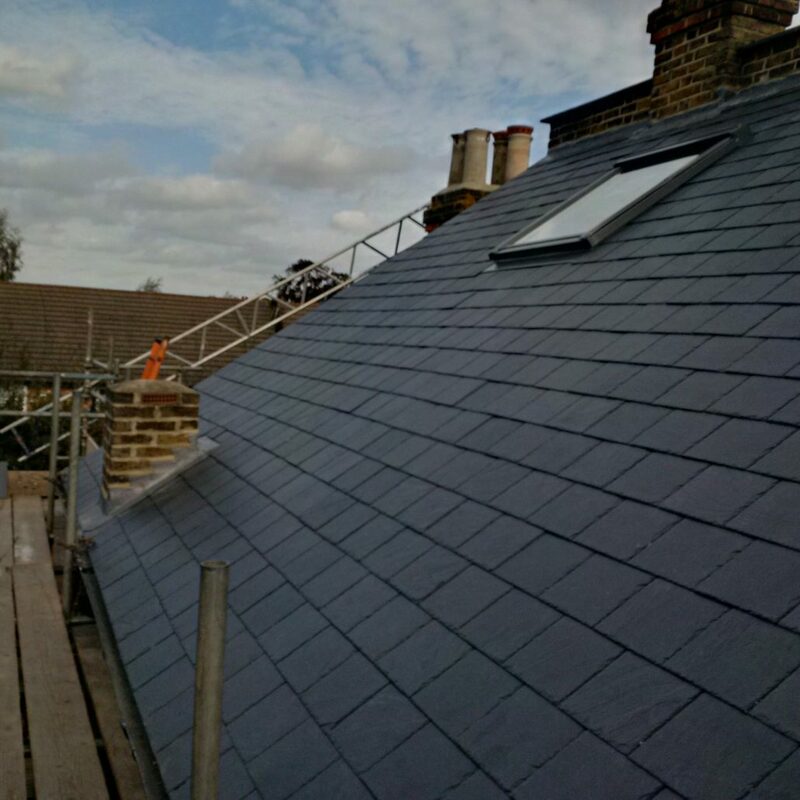 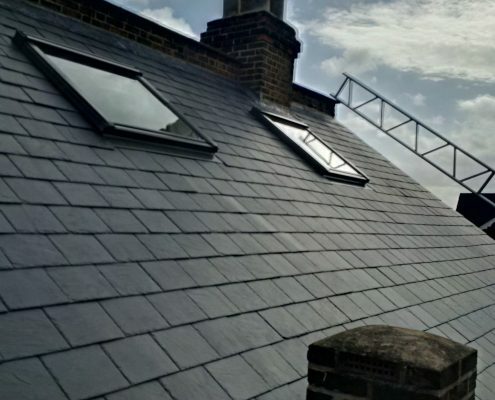 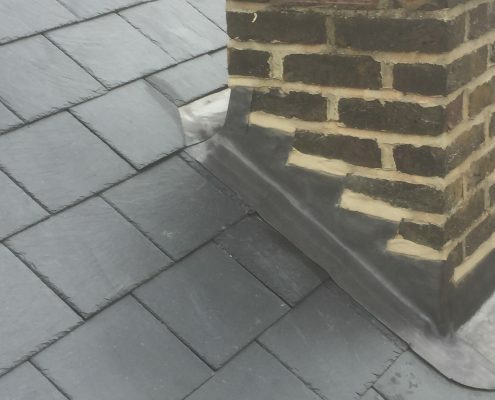 This roofing project involved stripping the existing slate roof for returning Customers. 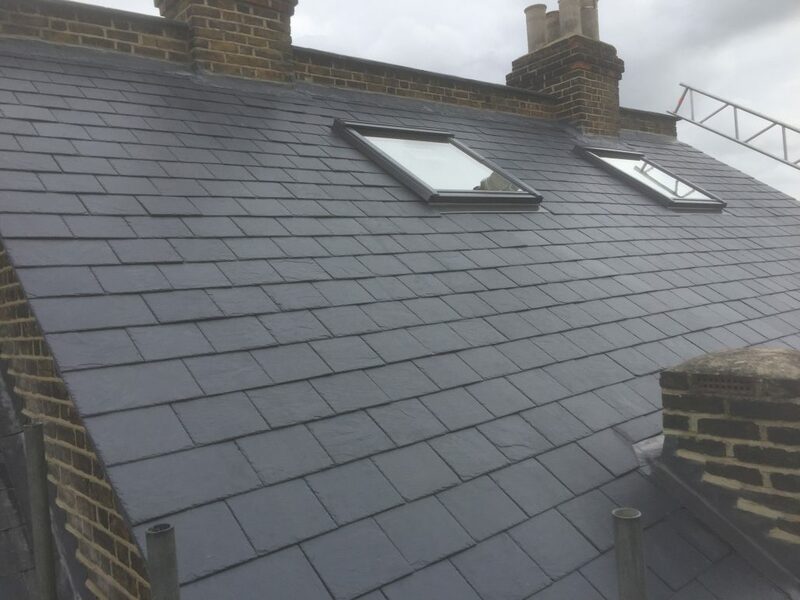 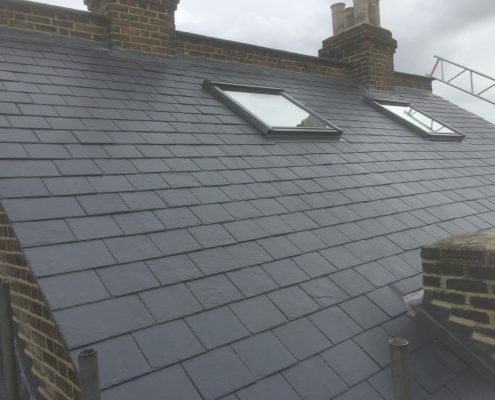 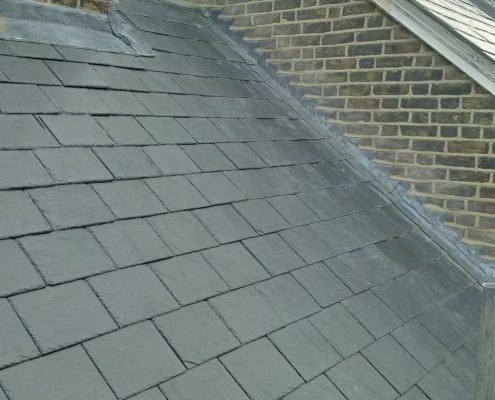 We then installed new under-tile breathable felt, timber treated tile battens and new slates which included the lower slate roof extension. 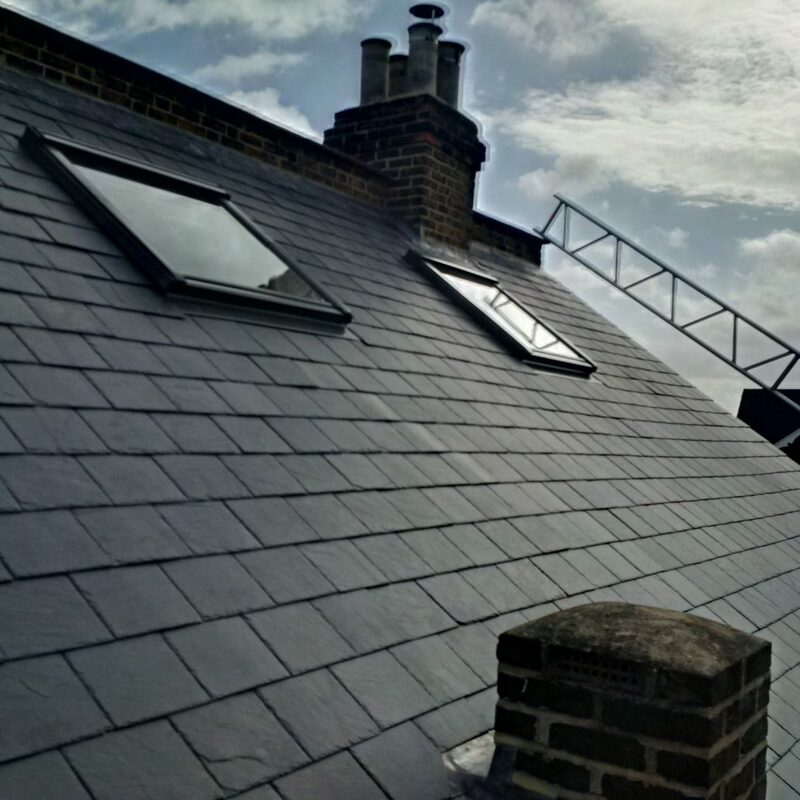 In addition, we had to cut new roof-lights into the side elevation which were supplied and installed by our Company.